Businesses are always on the lookout for improving efficiency and measuring successes, and hiring is one domain that will always have the scope for improvement. By using recruiting KPIs visualized on an HR dashboards, you can leverage analytics to better interpret and evaluate a variety of factors that aid in hiring processes and form new strategies that impact your organization from human resources and management perspective. Exclusive Bonus Content: What are recruiting metrics & dashboards for? And why should you care? Learn more in our free executive summary! 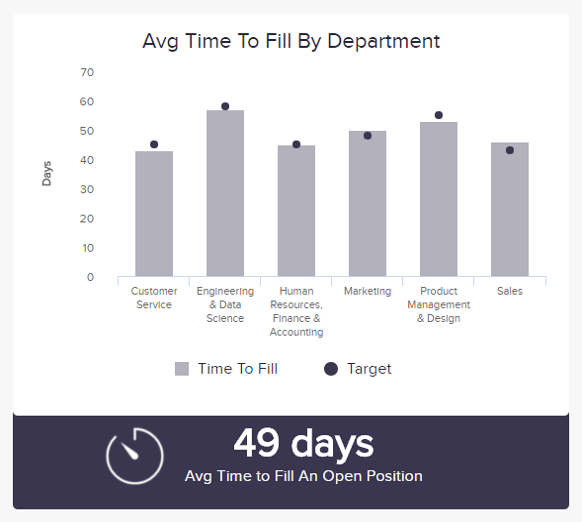 Data is a very powerful tool for human resources during the hiring process when you leverage recruiting metrics on your recruitment dashboard. The days when you needed to take lengthy amounts of time to hire employees for your organization based upon limited information are now over. As a data-driven organization, you can measure a variety of factors that can help in the recruiting process, and in order to do that, you can use your recruitment dashboards to better read Key Performance Indicators (KPIs), and evaluate the effectiveness of your recruitment process. Let’s face it, you have to stay competitive in this constantly and swiftly adapting world of data, and in order to do that, you have to hire the best employees, and use the most advanced HR analytics software available that can help give you the extra edge to boost the success rate of your business. There is a wide variety of recruitment metrics examples that you can use on your dashboard to ease out the recruitment process. What Can Be Learned From Recruitment Metrics? 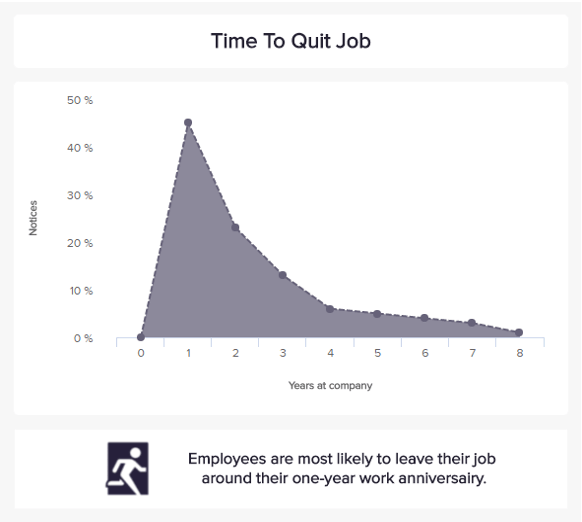 How long does it take to hire employees? Is your potential candidate the right fit for the job? 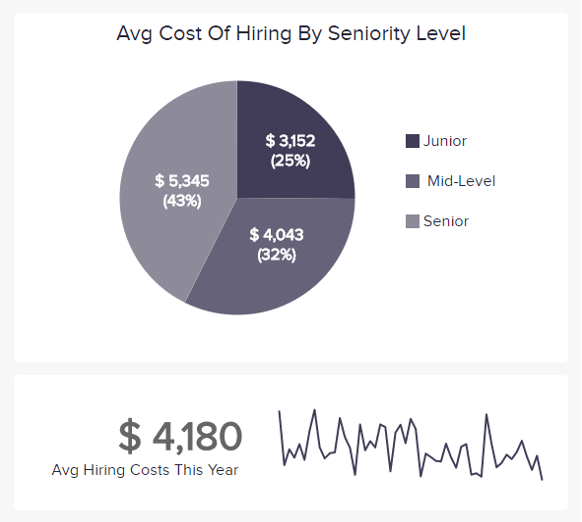 How much money are you spending on the entire hiring process? How efficient are you in the hiring process? How many candidates are applying for your job postings? Which places are the candidates looking for your job postings? How well does your new employee perform at the job? Does the job description that you provided with the listing accurately represent the actual job details? With the help of these points, you can use recruitment metrics on your recruitment dashboard. As you will slowly discover, there is some extremely valuable information that you can gain from using recruiting metrics. In an information-driven world, using the appropriate data visualization tools to understand what lies behind this numbers and figures will help you play your cards right. Now that recruiting talented professionals propels your business forward into success, you do not want to miss opportunities to better understand how to acquire the ideal employees before your competition gets there first. Before we dive into the most valuable recruitment metrics examples, let’s discuss the technology behind it, and why it is helpful. When you are an organization looking to hire new employees, data and analytics allow you to read data patterns that help you to formulate information-driven strategies. In this case, you will need strategies that will help you hire the most qualified employees that are best for the position, cut costs during the recruitment process, and better understand a variety of factors that are influencing your hiring process. In order to read these data and analytics patterns, human resources departments use online business intelligence to help them consolidate the data and work on it. Thanks to their data visualization capabilities, they can easily elaborate recruitment dashboards, that are tools that help people to read and understand data patterns in a streamlined, comprehensive manner. You can use recruitment dashboards to input a variety of KPIs or metrics into the system, and you can evaluate a variety of factors that will aid your hiring strategies. Now, in a data-driven business world, you have to be able to leverage data so that you can stay on top of the competition, hire the right employees, make sure your managers are following the best contracting practices, and take steps to ensure that the employees are functioning within your organization to the very best of their abilities. Let’s take a look at some of the most valuable metrics that can be used in your recruitment dashboards so that you have the right tools for your specific questions and areas of interest in the hiring process for your business. This metric promotes stability within your organization. It measures the amount of time it would take to locate and hire a potential new employee. The process begins with a requisition being approved by a company and extends to the point when the candidate has completed the necessary background checks. Essentially, it gives managers the opportunity to understand how long it takes to fill a job position. This is important because hiring employees can often be a lengthy process involving multiple steps. The most successful organizations want to take measures that will considerably reduce their HR KPI ‘time to fill’ figure, while keeping a good quality of hire at the same time – otherwise, this is time wasted. 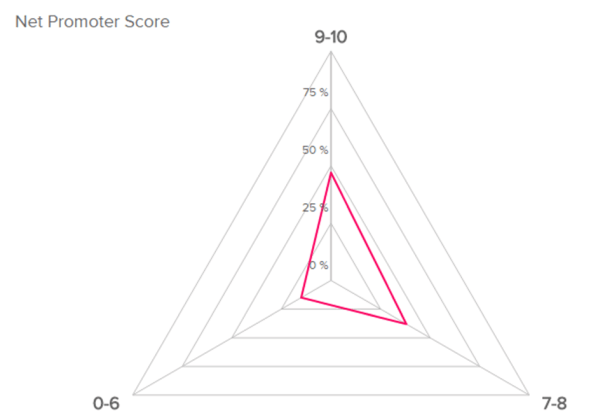 This recruiting metric basically indicates whether the person who was appointed to fill the position is good or bad for your organization. It is generally used to measure the performance of a hire during a 1-year time period. Low ratings can indicate bad hires, and this can cost companies a substantial amount of money. Knowing exactly how your employees are helping your organization and what skill sets they’re bringing to their job, is integral. How do you know where to look when hiring the best talent for your organization? Well, the smartest recruiters use the source of hire. Candidates are using lots of digital channels to research and find your company. So it only makes sense that the smartest recruiters use multiple channels, whether it’s LinkedIn, advertisements, and social networks. The number of applicants that are originating from each source. Of all the applicants that came to the specific channel, how many were qualified? With this metric, you can better understand your recruiting expenditures, and stop using channels that are not bringing in interested candidates, which will save you some money. Likewise, you can spend more money on the channels that are actually bringing your organization the most interested, qualified people who are looking to be a part of your company. Understanding how much money you are spending during the recruitment process can be a very efficient way to allocate spending. It’s important to look at all of your costs when hiring an employee so that you can learn where you can cut costs during the hiring process without affecting the candidate’s quality or experience level. How much does the job description match with what a new employee is experiencing in the workplace? This metric measures employees’ expectations with their job satisfaction and can determine a realistic job preview. This helps to put into perspective the experience that your employees are having with your organization. This is a good metric for measuring hiring success. First year attrition can be broken down to be either managed or unmanaged, which means that the contract is either terminated by the employer, or the employee leaves the company. It could indicate that the job description did not meet the expectations of the candidate, or that the candidate did not fit well within the team. This is a great metric for measuring job popularity. But just because a lot of people are applying for your job does not necessarily equate to something that’s positive for your company. It could indicate that the job description is too vague, for example. But this metric can also give you a great starting place to begin narrowing down your job description while still maintaining that suitable candidates are applying for this position, even if fewer people are applying for that particular job. If your managers are satisfied, it implies that the candidate fits well within the team, which is an indication of a successful hire. Data and analytics tools are rapidly evolving. Technology and data are changing the shape of how businesses formulate strategies that impact their success. These tactics extend to recruitment strategies, which are being formulated around this constantly adapting world of data. In order to create the kind of intelligent, reliable strategies that are impacting the future of businesses, HR departments and managers are turning to recruiting KPIs. Businesses can now leverage recruitment analytics by using metrics when it comes to hiring their next employees, measuring employee satisfaction, allocating costs during the hiring process, or understanding why people are applying for your jobs. To bring out the best from your KPIs, you can use real-time recruitment dashboards that will let you track and visualize the metrics that are the most valuable for your hiring methods. Try datapine’s free trial as a first step!